Closeout. 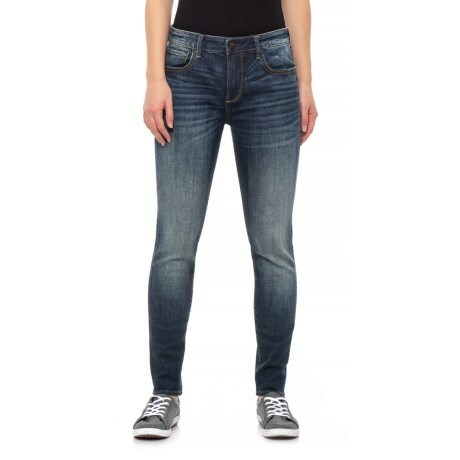 A must-have for your denim rotation, Driftwoodand#39;s Jackie Basic stem-hem skinny jeans pair with just about everything in your casual wardrobe and the faded, whiskered effect gives a loveworn look and feel. Available Colors: BLUE.